The original Tony Hawk’s Pro Skater was the best way to pass the time one vacation up in the mountains where the weather turned sour and the conditions were less than agreeable. A few kids were enterprising enough to bring their PS1 along and connected it to the TV in the lounge of the main lodge. I got hooked that one long, rainy day. 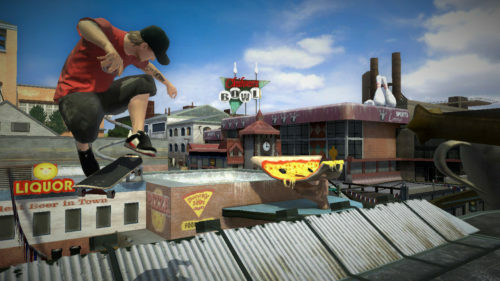 Seven years later Neversoft says they’ve developed the next iteration from the ground up and from what I’ve been able to read, I’m looking forward this one as much as I was when I went to purchase my own copy of THPS. 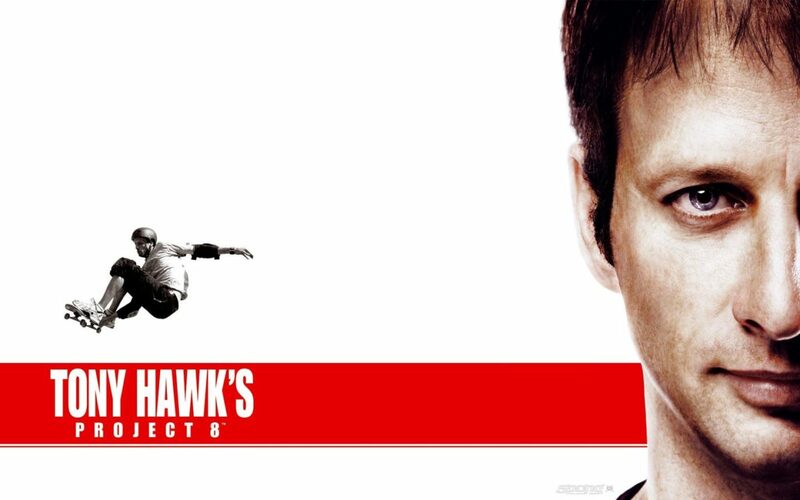 I was reading the October 2006 issue of OXM this week, which features Tony Hawk’s Project 8 on the cover with a large feature article inside. Apart from the upgraded graphics and stellar physics engine, the article details a new feature the writer (and Neversoft I think) calls “Nail the Trick.” Being able to control a trick in mid-air, while in slow motion, just by flicking the left and right thumbsticks sounds… like just the right thing to have and sounds like it’s going to be really addicting to see how far you can push it without bailing. Release this sucker already! Simon Carless takes a look at infamous middle-man for MMO currency, items and characters, IGE, via an interview with Chief Operating Officer James Clarke. 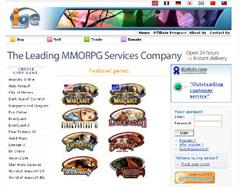 It’s a pretty interesting read with details like how IGE doesn’t actualy employ anyone directly farming gold or items, IGE’s interpretation of item and currency rights despite the individual games’ EULA or TOS stipulations and how, for the time being at least, they’re treating their recent acquisition of MMO community sites like Allakhazam, Thottbot and OGaming entirely seperate from their trading operations. I’ve been active on Allakhazam’s FFXI forums for a while and news of the acquisition didn’t go over too well with some folks, but so far everything seems to be going as it normally has on there. The official website for Earth Defense Force X opened this week in Japan and not without people noticing — NeoGAF was all about the upcoming Xbox 360 title and TeamXbox picked up some screens too. 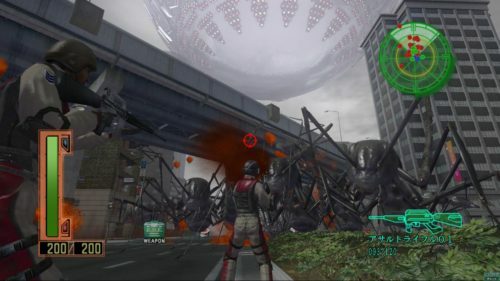 As pretty much a sequel to Earth Defense Force 2, a budget title from D3 Publisher and Sandlot for PlayStation 2, it will hopefully get published here in the United States. Basically the game is protecting earth while killing huge ants, spiders, centipedes, robots and what not, in a fully destructible environment while alien ships, that you can shoot too, hover above dropping more of these on you. How does that not sound like a fun game? After rumors started circulating, Nintendo announced this week that the pink and black versions of the Nintendo DS Lite, previously available only in Japan and Europe, would be on sale in the U.S. on September 13. While the U.S. still doesn’t have the enamel navy or ice blue versions, at least black seemed to be one of the more coveted versions on the boards when it was announced, leading to at least quite a few imports I’m sure. As part of a briefing at the 2006 Games Convention at Leipzig, Microsoft announced that the next-generation versions of EA’s FIFA 07 and Konami’s Pro Evolution Soccer 6 would only be available on the Xbox 360 this holiday — and even the next twelve months. This was huge news for Europe, probably the biggest market for these soccer games, and a firestorm of a debate ignited about the reasons, significance and implications of this news on NeoGAF. Pro Evolution Soccer producer Shingo Takatsuka stated otherwise in a 1Up interview, completely reigniting the debate on NeoGAF and on TeamXbox. Whatever the details end up to be and what fans of either platform say, Xbox 360 is going to be where the biggest soccer market in the world is going to have to play their favorite game anytime in the near future. At the Games Convention this week, Capcom showed off some great looking new screenshots of Lost Planet and the first peek ever at multiplayer gameplay. Joystiq compiled the videos into one handy post so you can see how Fox Hunt and Post Grab modes play out. There’s a reason this game is so anticipated and the demo on Xbox Live, all the screenshots released and now these videos show exactly what that reason is — the game looks and plays incredible. Coming off of the success of Dead Rising (the thread on NeoGAF has over 52,200 views! ), Capcom is really showing off its goods on the Xbox 360. Over in nearby Bellevue, WA, the guys at Penny Arcade are putting on their annual expo, PAX. Bigger than ever and looking to keep getting bigger especially after the demise of E3 as we know it, PAX is all about games — video, tabletop and pen and paper. John over at Gamerscore blog has been constantly keeping a Flickr gallery filled with photos from the expo. Don’t forget to check out the events and concerts on top of the games. Because of what I do, I think “The Role of the Community and PR in the Game Industry” (with Frankie from Bungie) and “Blogphotopodcasting: New Media in the Game Industry” (with Brian from Kotaku) are pretty interesting panels to check out — don’t toss them any softballs if you ask them a question. Joystiq and Kotaku are blogging live from PAX all weekend. 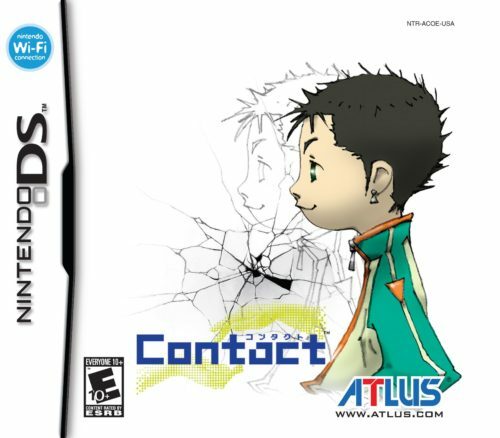 The official website for the upcoming Atlus game, Contact, went live this week. The website did reveal some unfortunate news — the release date was pushed back to October from a mid-September release. This game, from the content of it’s gameplay to details like the Livejournal-style manual in the English version, has been highly recommended by message board posters in Japan. 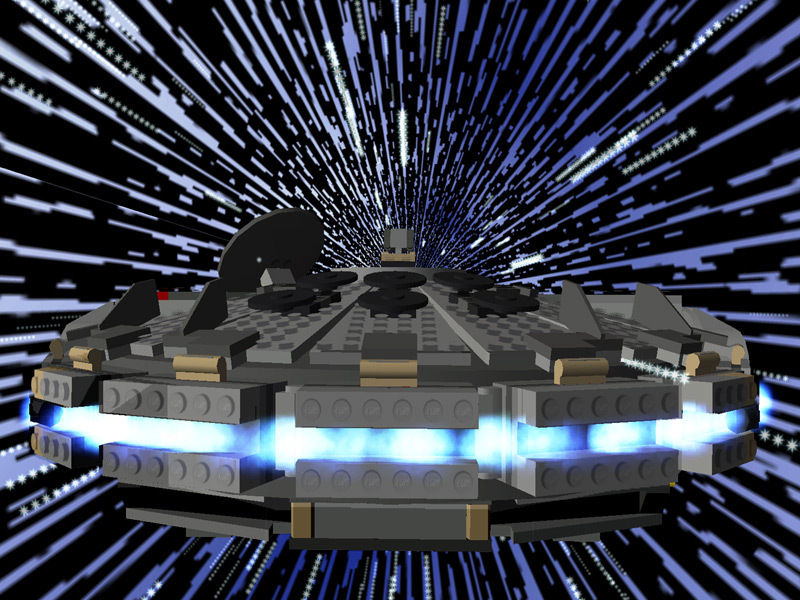 It’s bad that I like Star Wars the way I do — toys in the basement, legos in the closet, the VHS tapes, the DVDs, both versions of the the trilogy on Laserdisc — so it should come as no surprise that I’m looking forward to Lego Stars Wars II: The Original Trilogy coming out on Xbox 360 on September 12. Less than three weeks away. That’s not to say I don’t have more than enough games out already (Dead Rising, Ninety-Nine Nights) or coming out soon (Enchanted Arms and even Saints Row possibly) to more than keep me busy for the next eighteen days. I’d never given a second thought to the Lego Star Wars games, but after seeing a recently released video, suffice it to say, I’m sold. On day one. I keep forgetting about DEFCON, an upcoming game from Introversion. Introversion also made Darwinia, which won the top prize at the Independent Games Festival this March. 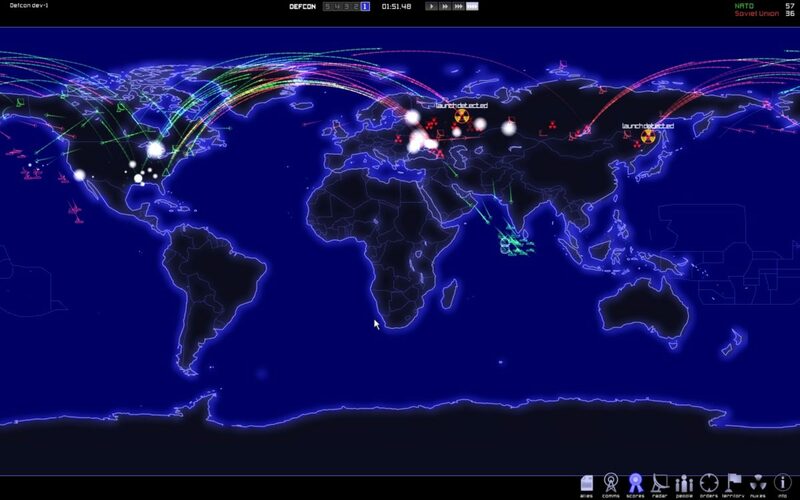 Taken as an idea from the war simulation “game” shown in WarGames, this is like a dream come true. Admitting my geeky ways started very early, I loved that movie when I was younger and so much so that I once got in trouble for ordering it pay-per-view without permission. I’m not too well versed in RTS titles, having only liked Dune 2000 way back when and, more recently, Lord of the Rings: Battle for Middle-Earth II. This looks great, mixing nostalgia, the gameplay hinted at in the movie with some simple yet clever graphics. Recent word is that DEFCON is set for a September release. I can’t wait.